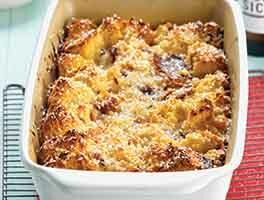 This combination of French toast and bread pudding is baked in individual portions, making breakfast or brunch a more sociable proposition: you won't have to stand at the stove turning French toast on the griddle while everyone else eats! 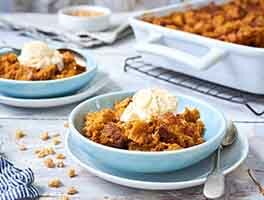 Top the puddings with bacon or berries (or sometimes both), though ham or sausage, or slices of banana or cinnamon-dusted apple would also be yummy. Mix the eggs, milk, sugar, salt, vanilla, and nutmeg in a large bowl. 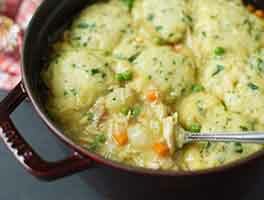 Stir in the bread cubes and let the mixture soak at room temperature for 15 minutes, stirring occasionally. 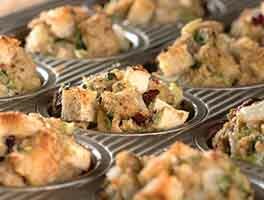 While the bread is soaking, preheat the oven to 350°F, and grease 12 silicone muffin cups, or line a muffin tin with papers, and grease the papers. Spoon the soaked bread and any remaining liquid into the prepared muffin cups, distributing it evenly. Place berries, sliced fruit, or uncooked meat on top, then cover each pudding with a shower of brown sugar; 1 to 2 teaspoons, to taste, should be about right. 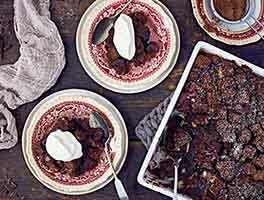 No need to cook the meat first; it'll bake along with the puddings. Bake the puddings for 30 minutes, until the tops are brown and they're bubbling gently. Remove them from the oven, wait about 5 minutes, and turn them out of the muffin cups onto a plate. Serve with syrup or raspberry sauce. Use a substantial white bread, like pain de mie or a dense artisan loaf; or try oatmeal bread. Avoid "air bread," or any other soft, squishy bread that's liable to fall apart when soaked in milk. Note: For banana puddings, slice 1 banana in 1/2" slices, and stir with the bread into the egg/milk mixture. What a great recipe! Instead of using a muffin tin, I used the crumbcake paper pans (same bake time). It made 4 servings. They weren't as tall as the picture using the muffin cups, but the presentation was beautiful. I used french bread, 2 cups of half and half, 1/2 cup of 2% milk, frozen blueberries and dried cranberries, and used mace instead of nutmeg. Nuts would also be terrific. If you are looking for a special breakfast/brunch recipe, this is it! So easy. I didn't use syrup, but more fresh fruit spooned on top would be incredible. Thanks for a wonderful recipe!